AMSTERDAM, Netherlands - A court convicted four Dutch Muslims on Friday of plotting terrorist attacks and sentenced them to up to eight years in prison, a victory for prosecutors who had failed several times before to convict would-be terrorists before they acted. Morocco arrests imam for recruiting Iraq bombers Moroccan police have arrested a Muslim prayer leader who is suspected of recruiting young men to be suicide bombers in the insurgency in Iraq, a newspaper reported Wednesday. 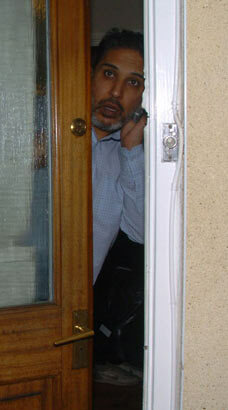 Leading member of Muslim extremist group working at the Home OfficeA leading member of an extremist Islamic group is working as a senior official at the Home Office, it has emerged. 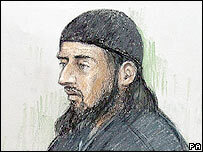 Two UK men held on Afghanistan-related terror charges have lost their legal fight to avoid extradition to the US. Babar Ahmad, 32, from Tooting, south-west London is accused of running websites inciting murder, urging holy war and raising money for the Taleban. PARENTS expressed outrage last night over a school’s plans to serve pupils a Muslim Christmas dinner. It Was True, US Embassy staff demanded conversion to Islam Cert. from Nonie Darwish husband. Small Details that one might miss in the Darwash Book One of the great things about this book is that we see minor details that we bandy about. The Duck relies on outsiders and tends to dismiss anything not produced by Vomwads like Fanon, Chimpanzee or other Marxist stooges. Read more: Was True, US Embassy staff demanded conversion to Islam Cert. from Nonie Darwish husband. JACKSONVILLE, FL-- It's a video showing a room full of children sharing their dreams. They are not excited about being doctors, lawyers or teachers. Instead, the children shout, "We are the nation of Hezbollah. I shall sacrifice my life for Allah." Forged archaeological artefacts traded on internet auction sites such as eBay are helping to fund international terrorism, it was disclosed today. Read more: Rainier Valley barber shop owner flees U.S. In Egypt 130 parliament members demanded the resignation of the minister of culture after he criticized the Islamic veil and described wearing it as a regressive trend, the daily al-Masri al-Youm newspaper reported Tuesday. 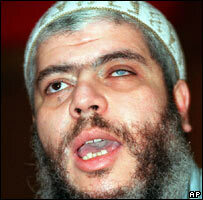 It started as a search for the answer to the riddle of how jailed Islamic cleric Abu Hamza lost his hands. He has always claimed it was a landmine accident in Afghanistan. وقع ١٣٠ نائبا في مجلس الشعب، بينهم ٥٠ نائبا ينتمون إلي الحزب الوطني، علي بيان لسحب الثقة من فاروق حسني وزير الثقافة، بسبب تصريحاته عن الحجاب لـ«المصري اليوم». Church smeared with excrement in Switzerland! SHEET MUTTENZ ? a bad prank or lies behind more? The Catholic church Muttenz was smeared by teenagers during the past two weeks over and over again with foeces. Read more: Church smeared with excrement in Switzerland. By Sher Zieve – Appearing on Wednesday’s Laura Ingraham’s radio program, the author of “Now They Call Me Infidel” Nonie Darwish said the ultimate goal of radical Islam is to take over the US. Ms. Darwish, a Muslim, said that hundreds of Islamic mosques are being quickly built throughout the US, which currently have no attendees. ROME – An Egyptian accused of being one of the masterminds of the 2004 Madrid train bombing and sentenced in Italy to 10 years for terrorism has been temporarily extradited to Spain, his lawyer and officials said on Friday.